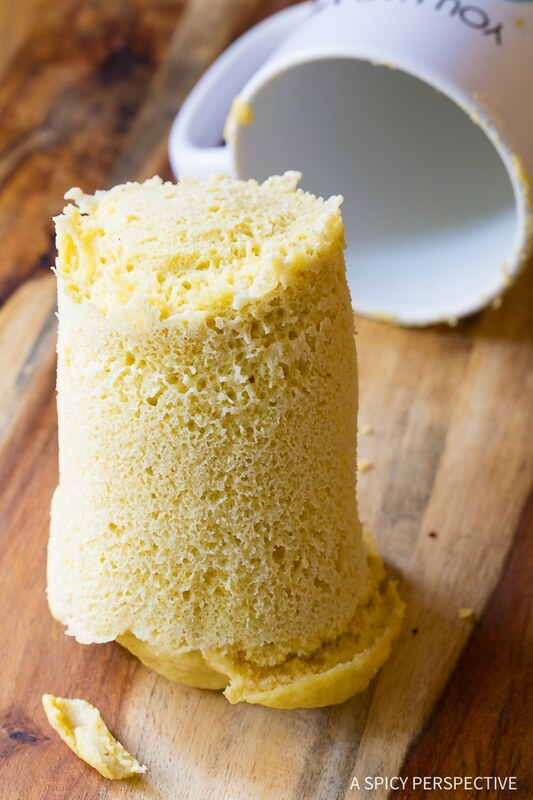 This light fluffy Magic Mug Low Carb Bread Recipe is magically Gluten Free, Grain Free, Sugar Free, Dairy Free, Paleo, and Ketogenic Friendly! The fall of 2017 was pretty rough on our family. My daughter Ava (age 15) came home from school one day with severe abdominal pain. At first, we thought she was coming down with a tummy bug. Yet as it lingered on day after day we knew we were dealing with something else entirely. A label which seems to be a catch-all term for any digestive issue in which mainstream doctors can’t find a cause. As we continue the search for the root of the problem, we have decided to try handling her pain through diet and supplements. Needless to say, her diet is pretty limited at the moment. Although Ava has good and bad days dealing with pain, she has managed to keep an upbeat attitude. She has made it a goal to find (or create) recipes she can enjoy to help curb her cravings. The hardest food for her to replicate is bread. All the store-bought gluten-free bread we’ve found still contain ingredients she can’t eat, such as rice flour, sugar, or dried milk. 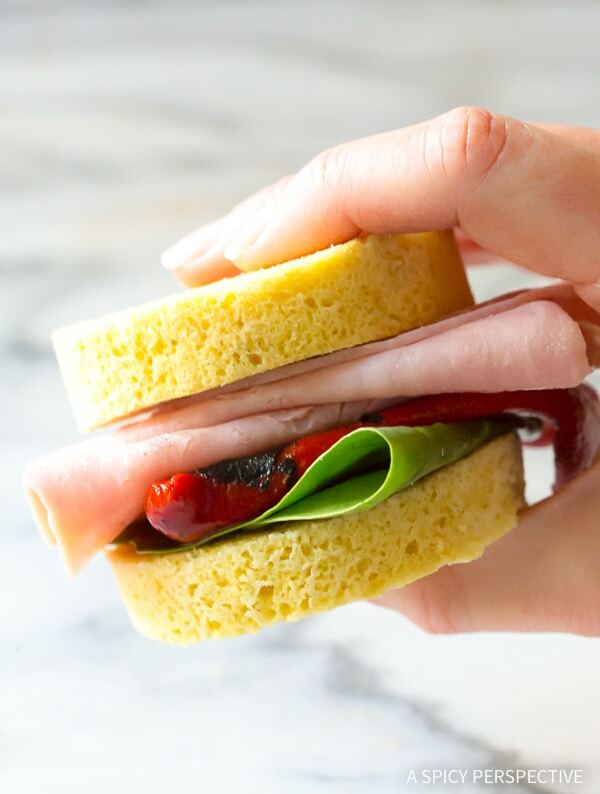 Even our previous favorite low carb bread option Cloud Bread contains dairy! One morning Ava determined she was going to come up with a bread recipe she could eat, even if it took all day long. We purchased an array of alternative grain free flours and she set off to work in the kitchen. She looked up all sorts of gluten-free bread recipes and tried testing them, making substitutions for the ingredients she can’t eat. The first several batches of bread tasted like seaweed, tree bark, and vinegar. We had a good hard laugh and spit them out. Yet by the end of the day, Ava was on to something. She found several recipes for gluten-free microwavable mug bread… All with rice, coconut, or quinoa flour, which she cannot eat. Ava made adjustments using almond flour, more moisture, and Viola! Gluten Free, Grain Free, Sugar-Free, Dairy Free, Paleo, Ketogenic, Low FODMAP bread that actually tastes and feels like bread! Simply oil the inside of a straight microwavable mug. Then microwave the bread batter in the mug for 3 minutes. Turn the mug over and out pops a loaf of light fluffy allergen-free IBS-friendly bread. 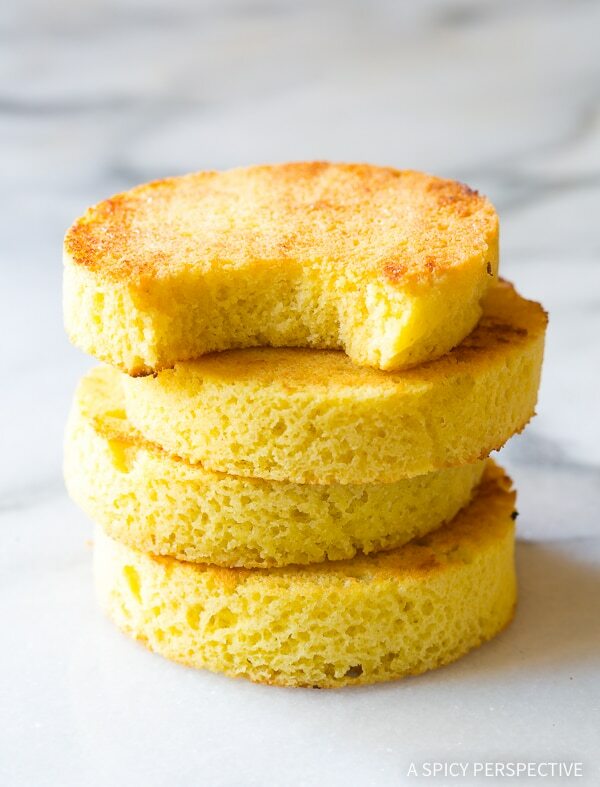 Low Carb Magic Mug Bread makes marvelous little sandwiches, can be used in french toast, and toasts beautifully in a skillet without any oil or butter. 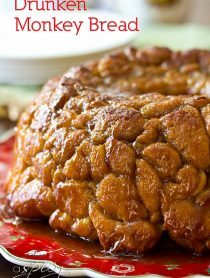 It has a mild nutty flavor and a light spongy texture. If you deal with allergies or health issues that limit your diet or are just trying to eat ultra low carb, give Ava’s Low Carb Magic Mug Bread a try! It’s definitely been a silver lining through her tough time. I’m allergic to nuts. 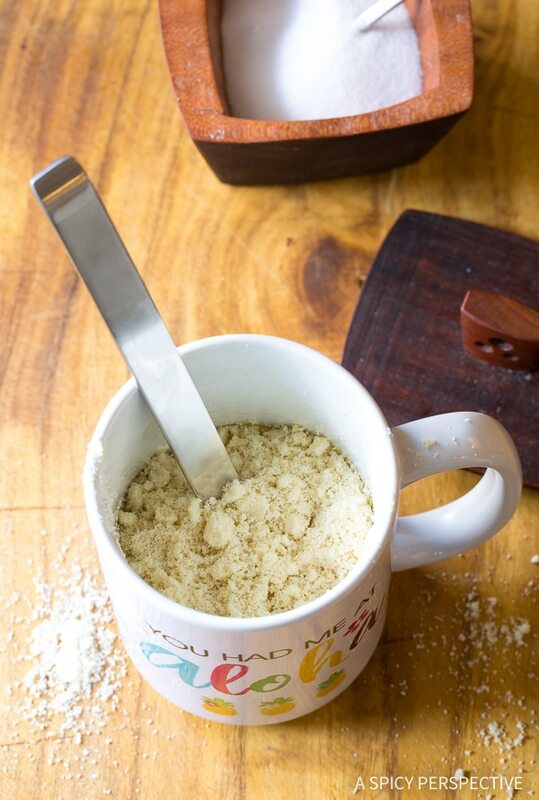 Can I make magic mug bread with other flours? Yes! 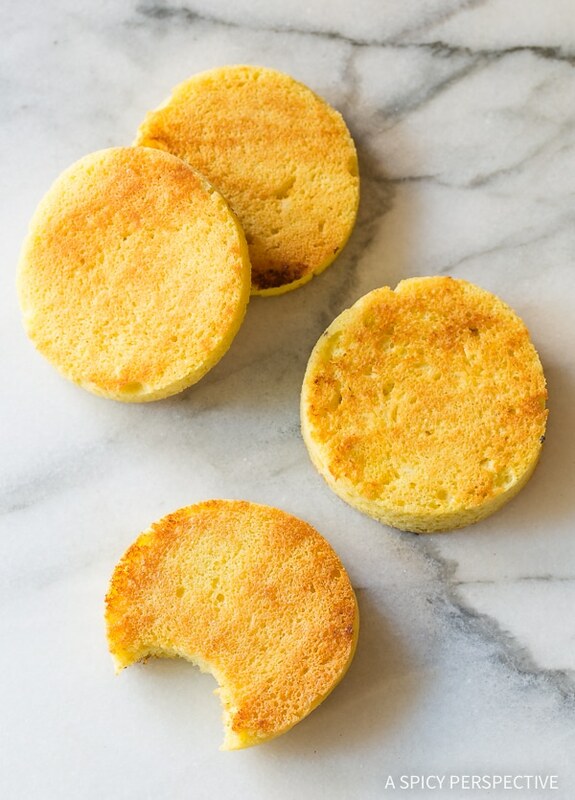 Although we like the flavor best with almond flour it works very well with quinoa flour. Coconut flour is also an option. However it is so absorbent, you will need to use only 1/3 cup of coconut four, and add an additional 2 tablespoons oil to soften the bread. If you do not need to eat grain free, oat flour is a very tasty option. I don’t like to microwave. Can I bake this in the oven? Yes and no… Yes, you can bake this bread in the oven at 350 degees F, for 10-20 minutes, depending on the baking dish you place it in. However, it does not turn out the same. It needs that quick-heat from the microwave to form a light pillowy loaf. Our very best baked version was spread on a sheet of parchment paper in a jelly roll pan, so it was very thin. Better, but still not as good as the microwave version. Is all baking powder gluten free and grain free? No. Most major brands today are made without gluten, but not all. You will need to check the label to be sure. Many brands are made with cornstarch, so if you need to stick to a strict grain free diet, you either need to purchase grain free baking powder, or make your own. You can make grain free baking powder by combining 1 part baking soda and 2 parts cream of tartar. I can’t eat eggs. What can I substitute? 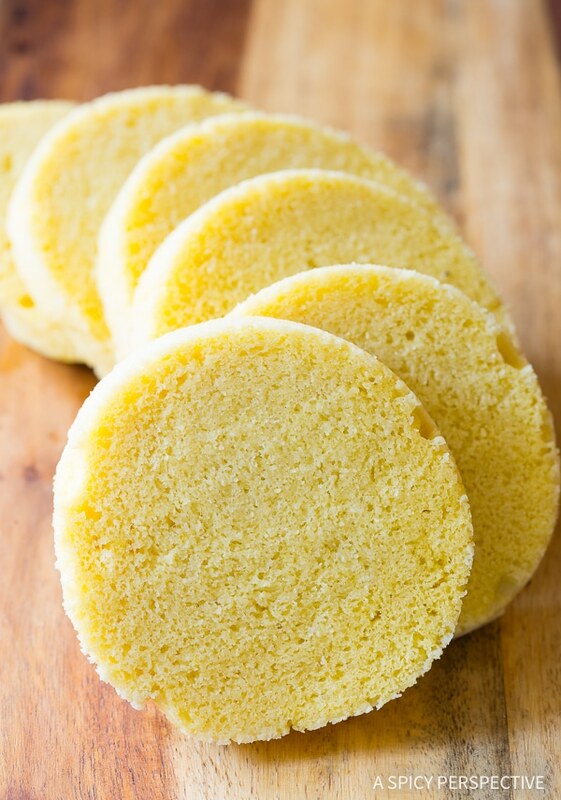 You can use store-bought vegan egg substitute. We’ve found the “Follow Your Heart” brand works pretty well. You can also make flax or chia seed egg substitute. Grind 1 tablespoon of flax or chia seeds in a small coffee grinder. Place the ground seeds in a small bowl and add 2 1/2 tablespoons of water. Stir, then let the mixture rest for 5 minutes before using. This creates one flax (or chai) egg. Double for this recipe. See the Recipe Card Below For How To Make Magic Mug Low Carb Bread. Magic Mug Low Carb Bread Recipe - Made in less than 5 minutes and magically Gluten Free, Grain Free, Sugar Free, Dairy Free, Paleo, and Ketogenic! Drizzle the oil into a tall straight mug, about 3.5 inches wide and 5 inches tall. Brush the oil around the edges to grease the mug. 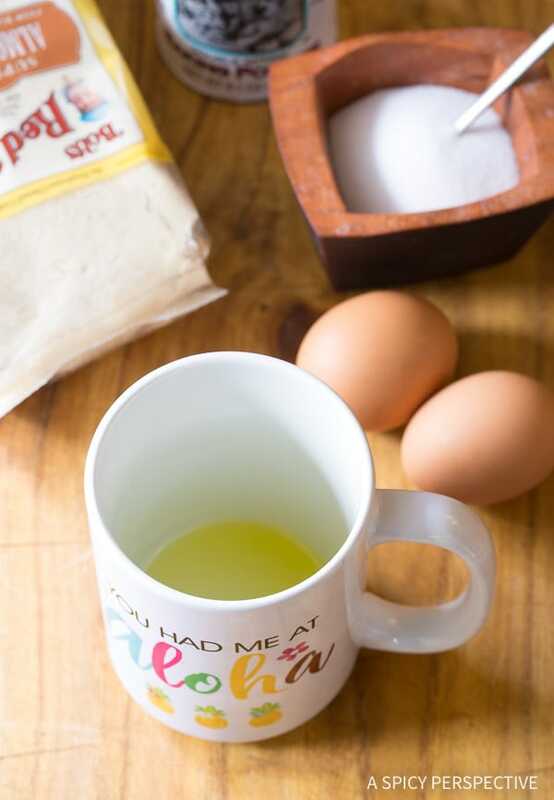 Place the eggs, almond flour, baking powder, and salt in the mug. Whisk with a fork until very smooth. Tap the mug on the counter to remove air pockets. Microwave on high heat for 3 minutes. Shake the bread loaf out of the mug. Slice with a serrated knife and serve. Make multiple batches by tripling or quadrupling the recipe and whisking the batter in a large bowl. Then pour the batter into various oiled mugs and microwave. Add 1 minute cook time for each additional mug. just tried it and wow its easy and tasty. This is AMAZING! I just made it and it turned out exactly like the picture – then the taste and texture… Incredible! I added a little less salt as I don’t like things too salty, but the flavour of it certainly comes through and makes it so tasty! I actually prefer it to ‘normal’ bread! This will now be my go-to microwave bread recipe. Thank you so much for sharing this recipe! Made this tonight. Hubby is diabetic and I am doing low carb and extremely low sodium. Made it without the salt..we actually had sandwiches for supper. Going to make it in the morning so I can try cinnamon toast. Toasting on the stovetop sounds like a good idea. Thinking of adding the Ceylon Cinnamon to the mix. My sodium level needs to be under 1000 mg a day. THANK YOU, THANK YOU, THANK YOU. So, I’ll have to substitute gluten free oat flour but I’m very happy to come across your recipe. I have several allergies, sensitivities, and a bad gut as well. Finding easy to make food is near impossible. I am not a fan of being in the kitchen all day, it’s just not my thing. Thank you for the flax egg substitute as well, because I’ll be needing to use that. Thank you for all of your time and hard work that went into perfecting this recipe! Try 1 egg and 1/4 cup milk or non-dairy milk. It’s more cakey and less eggy. I tried this with a couple of modifications: I used whole wheat flour; instead of 2 eggs, I used 1 egg and 1/4 cup milk; I also added 1/4 cup raisins, a tsp sugar and a tsp of vanilla. It came out beautiful and delicious. I am enjoying it with my morning coffee right now! 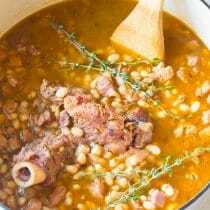 My son and I love this recipe. We’ve tweaked it a bit as I can’t tolerate too much almond flour. We *half* the recipe & use a larger ramekin for “hamburger buns” as we find the full recipe very filling for one person. To make *half* a “whole wheat” type version, we use 1 Tbsp ground flaxseed, 2 Tbsp parmesan cheese (powdered type), and 1 Tbsp of almond flour (instead of just almond flour). 1 egg, 1/2 tsp baking powder and a pinch of salt. Same cook time. The cheese adds great flavor. I add herbs to this same recipe if I want to make croutons. Just cube & toast after microwaving. Great recipe! Thank you for sharing it! I’m really glad I came across this recipe. 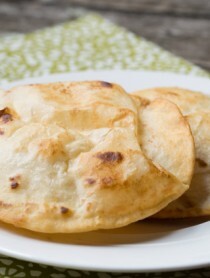 Even though it has a few more carbs than the cloud bread, it’s soooooo quick and easy and worth it. It’s also good when you add a bit of seasoning . Does it taste like bread? not really, but it definitely helps satisfy bread cravings! I prefer breakfast sandwiches with it because the bread does taste a little eggy, but only slightly. I made this in a Square shaped bowl and cut thin slices that actually looked like bread. I definitely will put this in rotation! Thanks so much. I am allergic to almonds so I use sesame flour, my attempt turned out dry would you suggest less cooking time in the microwave or more egg for moisture? I’m so glad I came upon your recipe. It is really good. Its very hard to find gluten free, dairy free, sugar free and yeast free anything let alone something that tastes good. Thank you Ava and Sommer! This bread had a nice light texture. I liked it toasted. 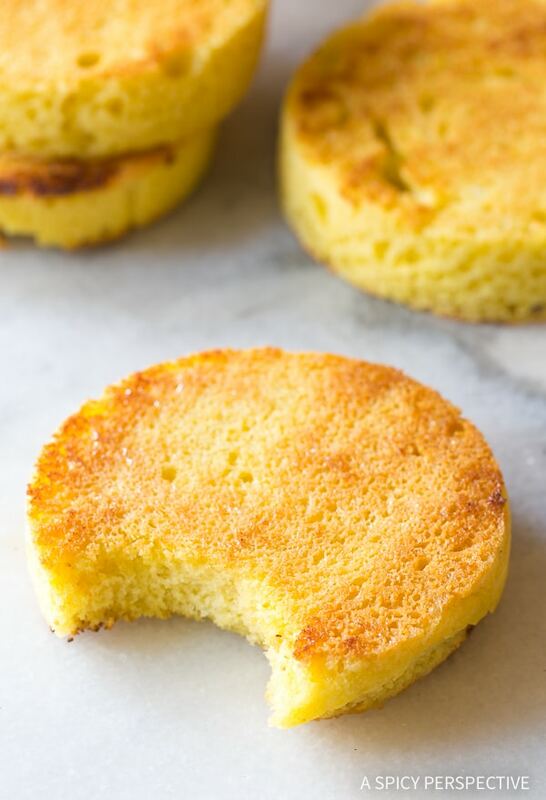 How does one adapt this recipe to use coconut flour instead of almond flour ? I can’t say for sure because I have not tried that. However, coconut flour is extremely absorbent and may become too dry. Are you allergic to nuts? Did you try it? I want to because I only have coconut flour at the moment. Let me know! 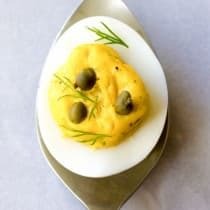 What kind of vegan egg do you recommend I tried bobs red mill egg replacer and the dough was too thick. Added water and it was better. Is there something else you may recommend Thanks in advance! 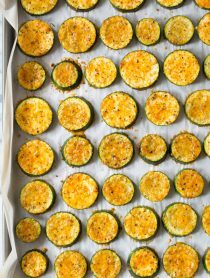 Can this be baked in conventional oven? I never microwave anything. I made the recipe exact as listed. It only raised about 2.5 in. Shouldn’t it have raised a little higher? Texture is good and the flavor is great. Was your mug wider than recommended in the recipe? If so, that could be why it didn’t rise as much. 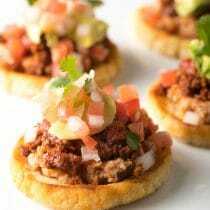 Thank you SO much for sharing your recipes for free!! You have turned our lives abound with this bread recipe! It was super easy and took about 7 minutes including cooking time!! 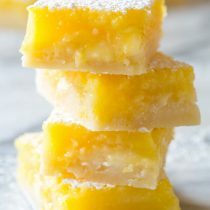 This is the best recipe!! I never leave comments on websites, but I made a few substitutions in this bread, and liked it so much, I had to thank you! I soaked 1/3 cup coconut flour in a heaping spoon each of yogurt and applesauce to hydrate it. The only straight-sided mug I have is at least 20 oz., so I mixed four eggs, a heaping spoon of ground flaxseed, 1/2 cup almond flour, 3/4 tsp. baking powder, and 1/4 tsp salt. I mixed in the coconut flour, and microwaved it for over 4 minutes. It popped right out of the mug, but the center was still molten, so I flipped it over and microwaved another 45 seconds. I toasted two slices in a dry skillet, spread it with mustard and topped it with soft boiled eggs. Oh my, but it was good. You can slice it thick or thin, and its tender. Ok, I did toast a third slice and put butter and jam on it, but no one saw me. Now I will have to try it exactly the way you wrote it! And I am dreaming of adding bananas, cinnamon, and walnuts… Thank you! Bananas, walnuts? YES! DEFINITELY making this one!!! This is perfect! I have gluten and dairy allergies, and my doctor has me avoiding refined sugars, nitrates, msg, yeast, and soy because of inflammation that can trigger migraines. I have been looking for a bread recipe that I can use to make burger buns! Thank you!!! Lol…. so about the oven? I loathe the microwave and no longer have one. Has ANYONE tried it in the oven???? I can’t thank you enough for this recipe. With all of my food allergies, this has been a bright light in my day. 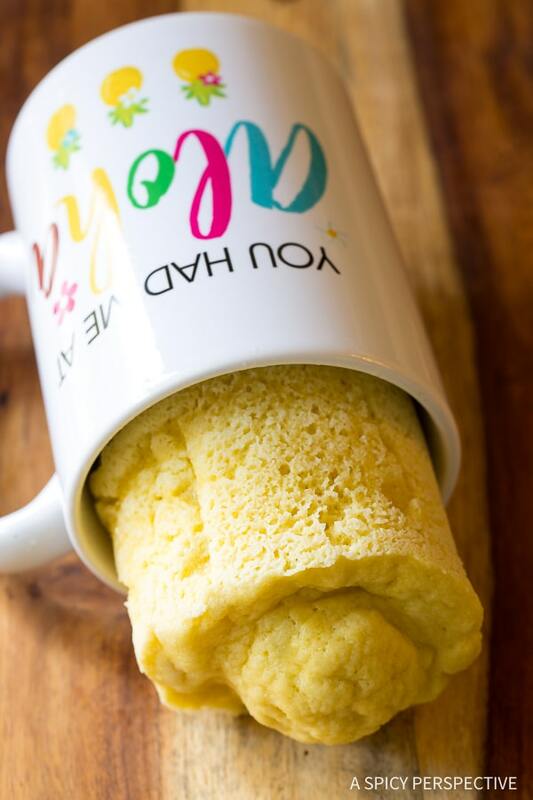 Follow the recipe EXACTLY and this bread will fall out of the mug just as shown in the photos. Made the toast in my frying pan, too. Excellent. Thanks so much! I tweaked the recipe for a little less salt. I’m excited to try a sweet version of this as another user suggested. The bread is a little on th eggy side, but still good. It definitely helped my bread cravings. Like others, I’m wondering how to make this in the oven instead of the microwave. Any tips? I made this today. I substituted garbonzo bean flour instead of the almond flour. It turned out a little bit on the dry side but tastes nice. I will add some more moisture for next time. This is amazing and just made a huge difference for me. I haven’t been able to eat bread for years. This is delicious!! Thank you for pursuing your goal to make this recipe! Love this bread, and I can make it at the last minute. FYI…commercial baking powder may contain cornstarch, a grain product. You can make your own with just baking soda and cream of tartar. The ratio is 1 part BS to 2 parts CoT. If you have not yet done so, you may want to check out the Wheat Belly books, website and/or FB page for Dr William Davis. His work is focused on healing the gut and it might provide some helpful information for you and your daughter. Do hope your daughter’s health continues to improve. Great recipe! I had a similar health struggle -which I would gladly share with you if you wanted- but to keep it brief, I was eventually diagnosed with SIBO (small intestinal bacteria overgrowth). The diagnosis didn’t come until after I traveled to India and was on doxycycline (anti-malaria antibiotic) which greatly improved my condition. Prayers for you all in your journey to good digestive health!! Have you ever baked this in the oven? I don’t microwave any food & hope to not waste the ingredients, trying it in the oven. Hoping someone else had already done it & it works! I tried using coconut flour and the batter was very crumbly/not smooth. Did you add anything to it to help conceal it? Can you us cconut loud instead f almond flour? I just tried this with rice flour bc it’s what I had on hand. It was horrible!!! I thought it might work, dont try it lol. Will get some almond flour and try again and follow the recipe to a tee. Cant wait to try the Freedom Cookies, those ingredients on the shopping list too! Do you know how to make this in an oven? My daughter also at 15 suddenly had terrible tummy pain which has even sent her to hospital. Nothing shows up so like your daughter she was told it is IBS. However on the low fodmap diet almond flour is a red traffic light. Is your daughter sure she is having no problems with eating this? If she is not getting the pain under control you might consider if it could be the almond flour. I scrolled to the comments to say this. Almond flour is still a trigger for my FODMAP issues. I switched to coconut flour and it’s better. My daughter began experiences intestinal problems in her late 40’s. It got attributed to many things foremost her going back to school to get her masters. It was suggested that this could be a gluten problem. So she switched her diet and never cheated. Fast forward 5 years later and she had lost her taste and smell. About the only thing she could taste was salt. Went to new Dr. and he sent her to an allergist who did 72 skin test and 53 of them test mid to high range and 4 were off the charts so Dr. ordered an allergen blood test and she got the answers yesterday and she is not allergic to wheat!! but is highly allergic to eggs. Eating GF she relied on eggs a lot and most bread recipes contain eggs. 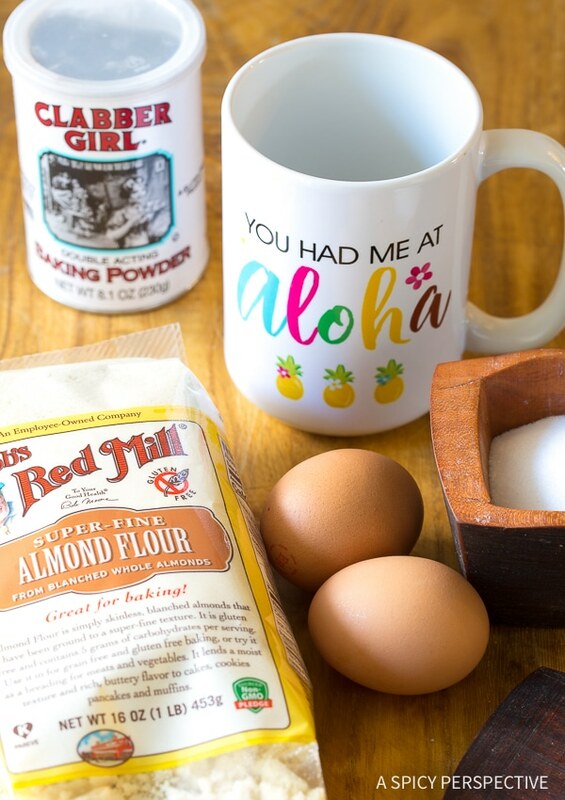 So loved the mug recipe and her and I are looking for the vegan egg replacer. We both live in small towns without a good supply of items necessary for cooking GF. So today I’m making this with a powdered egg replacer and she’s looking for the vegan egg replacer. So thank your daughter for her determination to do this and once her IBS is under control it will become easier. Bless her heart! So creative (like her momma!) and determined not to let this thing get her down. Love her spirit! And I’m going to try the bread! I had to make this the minute I read the recipe. It was light and airy. This is a great recipe. I can see how it would lend itself to added herbs.